My mom used to make me this peanut powdered dessert as a kid from time to time, usually after dinner. I made this peanut version the other morning, but my favorite is the Black Sesame! It’s one of my favorite comfort foods for any day; but so satisfying on a blah kind of day. It taste exactly like what it is, Sweet Peanut Soup; but to me it comes more across like a cross between peanut pudding and oatmeal? Like a hot dessert smoothie? I guess it’s somewhat comparable to how it feels to have the hot version of tapioca soup in coconut milk. I love the creamy, velvety texture and how it feels, as I take a spoonful and savor the flavor, the unique texture and warmth. I like the Sesame flavor better because I looove sesame and I feel it’s flavor has more layers; and when you make it, it’s more rich and slightly more thick and not as sweet. I will most likely update the post with a photo of the sesame powdered dessert later on when I get to make a cup of that. It’s so yummy, I wish I could give you a taste of it over the screen! I can say I had my heart broken once and I didn’t really have any appetite to eat any real food. My mom knew I loved this and offered to make me a cup; and of course I had to say yes to this. I had a cup and I felt all warm and cozy inside; an instant pick me up. Also, have I mentioned how ridiculously simple it is to make. You literally just add hot water to the powdered dessert and mix quickly; it’ll get a little clumpy at first, but eventually with the constant stirring, it will smoothen out; it takes practice and it’s kind of therapeutic too, now that I think about it. 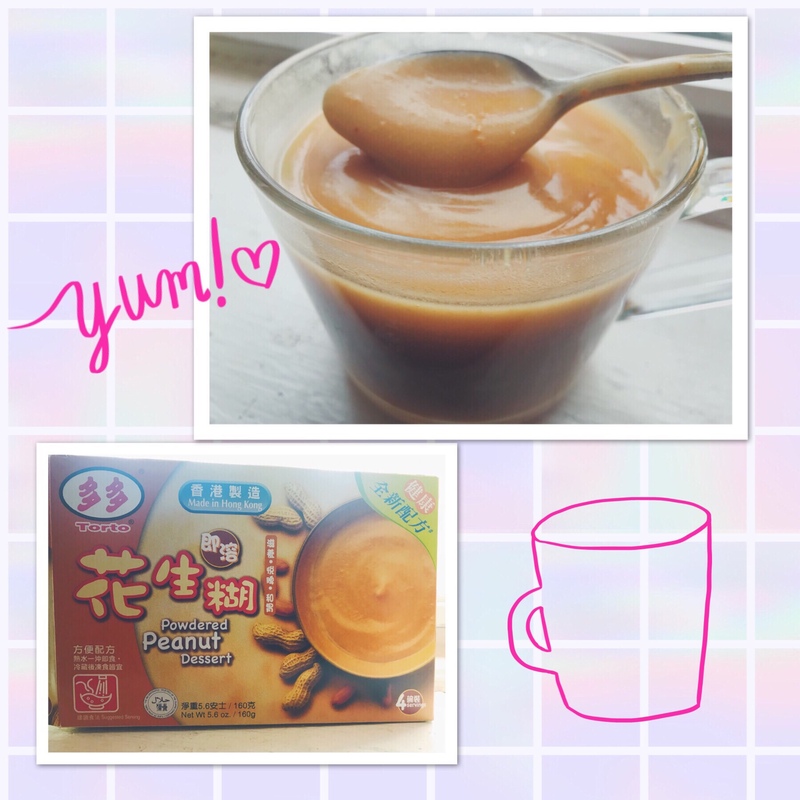 So next time you’re at the Asian Supermarket and you’d like to try out something different from just what you get with the Asian crackers or chips or candy; pick this up, open up your senses, relax and get excited about your impending new experience with this Peanut or Sesame powdered dessert! Let me know if you get to give this a try! How would you describe it?